Evidence of a large-scale fish kill on Lido Beach following a bloom of Florida red tide off Sarasota, Florida. Photo taken September 26, 2016. 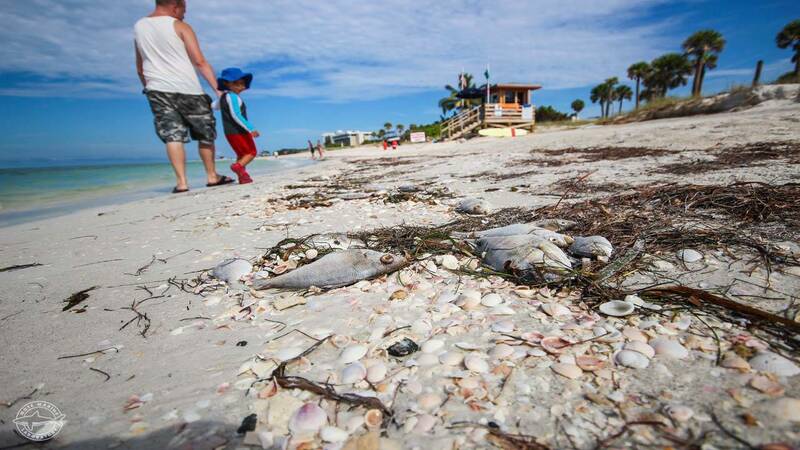 A few months ago, beachlines in Florida coastal counties were littered with thousands of dead fish as a result of a toxic algae bloom plaguing the Gulf of Mexico and the Atlantic Ocean. In February, several state wildlife groups will begin releasing red fish to replenish some of those lost populations. National Oceanic and Atmospheric Administration scientists have linked marine animals deaths off Florida's coasts to a toxic algae bloom that has persisted in the Gulf of Mexico for over a year. Red tide can also kill off large numbers of fish. The Coastal Conservation Association of Florida and the Florida Fish and Wildlife Conservation Commission will begin this month releasing 1,000 to 1,500 juvenile fish and 25 to 30 adult redfish per county in Pasco, Hillsborough, Saarasota, Charlotee, Lee, Collier and Manatee counties. CCA Florida executive director Brian Gorski said the fish release is happening now because the waters have been determined safe again. “Between these releases, encouraging anglers to catch-and-release and promoting conservation, we’re going to see this fishery improve, and we’re honored to be a part of it," Gorski said. Some of the fish were donated from the hatchery at Duke Energy Mariculture Center in Cyrstal River. Anglers can help and learn more about the program by visiting JoinCCA.org.